Early anticipation of global regulatory and policy trends enables organizations to make the right decisions in order to take the right actions at the right time. At Accure we keep ourselves stay informed and act on events with an impact on our products and organizations. The key challenge today is that quantity of information is endless, but quality of information is rare. Therefore, the working philosophy of Accure’s policy and regulatory intelligence is to tailor outputs to regulatory environment needs, and to proactively inform and suggest actions in line with our strategy. Our highly educated regulatory affairs professionals have long-standing experience in many therapeutic areas and product classes. The team’s regulatory experience covers the EU, US, Asian markets as well as a number of other global regions. 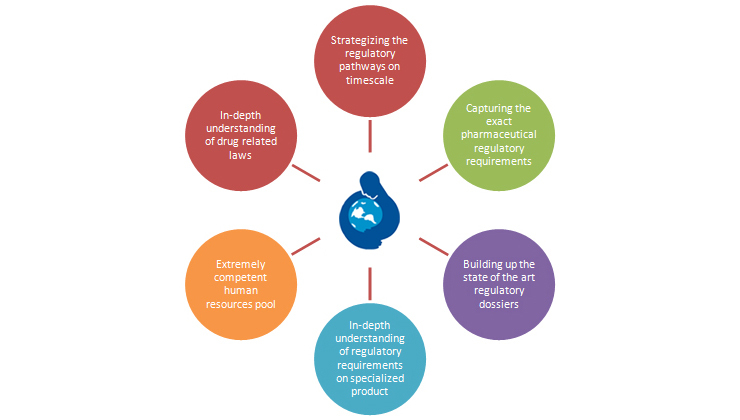 Regulatory Affairs is capable of submission of Dossier /CTD/ eCTD from semi-regulated to highly regulated markets.